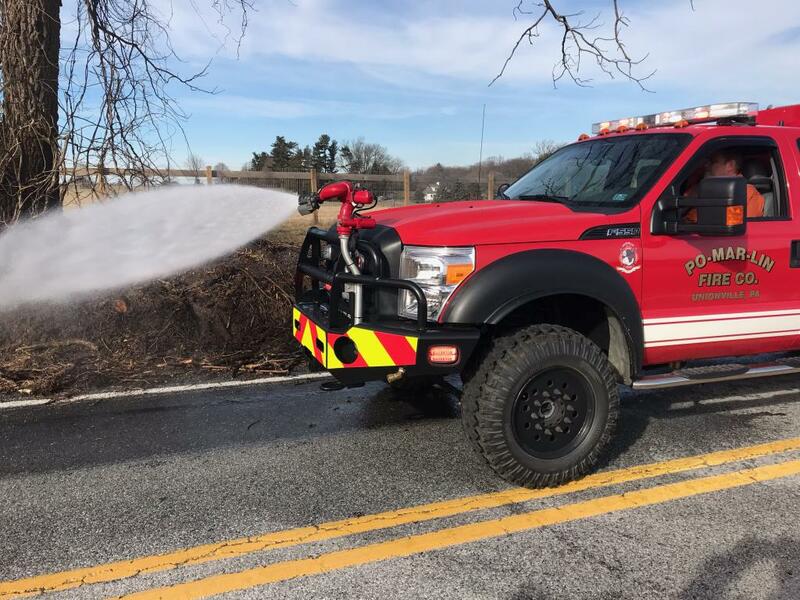 This afternoon at 14:37 Station 36 was alerted to a brush fire at the intersection of Clonmell-Upland Road and Ryan Road in West Marlborough Township. 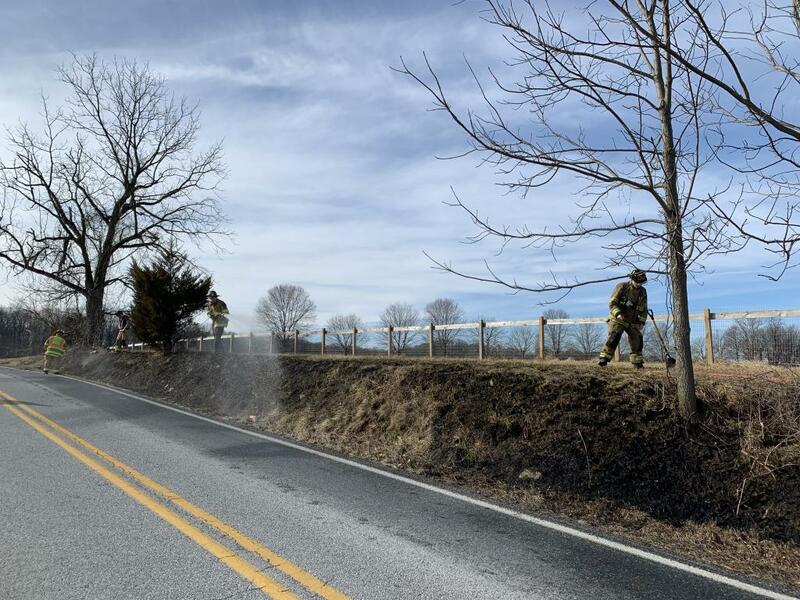 Chief 36 quickly arrived on scene and gave an on scene report of a brush fire on an embankment approx 6’ x 100’. Rescue 36 arrived on scene a few minutes later and the crew immediately went to work with hand tools and the booster reel. Brush 36 arrived shortly after the rescue and used its front turret for final extinguishment. The fire was put under control in just 8 minutes after arrival of Chief 36.